Madurai was originally a forest known as Kadambavanam. 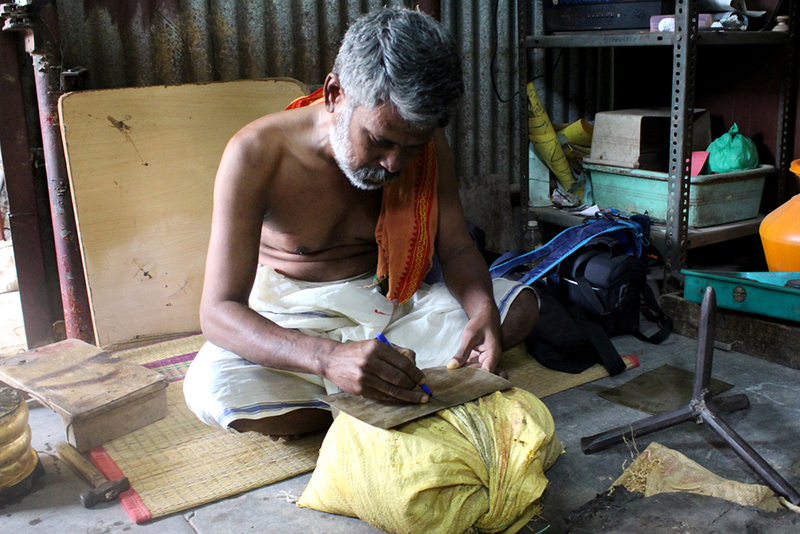 A merchant during his course of travel reached the kadamabavanam forests and stayed their overnight. When he woke up in the morning he discovered a shivalingam, surrounded by offerings of flowers. Knowing that no human has offered flowers during the night, the merchant inferred that the celestials offered worship to Shiva each night, conveyed the matter to the ruler Kulasekhara Pandiyan. Hearing that the king decided to build a huge temple in honor of Shiva. It is believed that Shiva incarnated as an architect and supervised the construction of this temple. The king also builds the ancient city of Madurai positioned around the temple. Madurai known as the temple city is one of the oldest cities in the world since 1st Millennium BC. It is the cultural center of Tamil nadu. It is also known as “Athens of the East”. As early as 3rd century Megasthanes greek ambassador to India visited Madurai. Madurai is also mentioned in Kautilya’s Arthashastra. It is also mentioned in the works of roman historians Pliny the younger Ptolemy, the Greek geographer Strabo and also in Periplus of the Erythraen Sea. Sangam Literature like Maduraikkanci records the importance of Madurai as a capital of Pandyan dynasty. It is also known by many names like Malligai Managar, Thiruvalai Koodal etc. Various kings like Pandyas, Cholas, Madurai Sultanate, Vijayanagar Empire, Madurai Nayaks, and British ruled the king. After the Sangam age, most of present-day Tamil Nadu, including Madurai, came under the rule of the Kalabhra dynasty, which was ousted by the Pandyas around 590 CE. The Pandyas were outsted from Madurai by the Chola dynasty during the early 9th century and remained under them till13th century, till the second Pandiyan empire was established. After the death of Kulasekara Pandiyan, Madurai came under the Delhi sultanate. In 1801 Madurai came under the direct control of British East India Company and was annexed to Madras Presidency. One of the main centers of attraction in Madurai is the Meenakshi Amman temple. It is the ritual center of ancient city of Madurai. Madurai is built around the Meenakshi Amman temple. The city is divided into a number of concentric quadrangular streets around the temple. The first Madurai Nayak king redesigned the city in accordance with the principles laid out by Shilpa Shastras. These squares retain their traditional names of Aadi, Chittirai, Avani-moola and Masi streets, corresponding to the Tamil month names and also to the festivals associated. 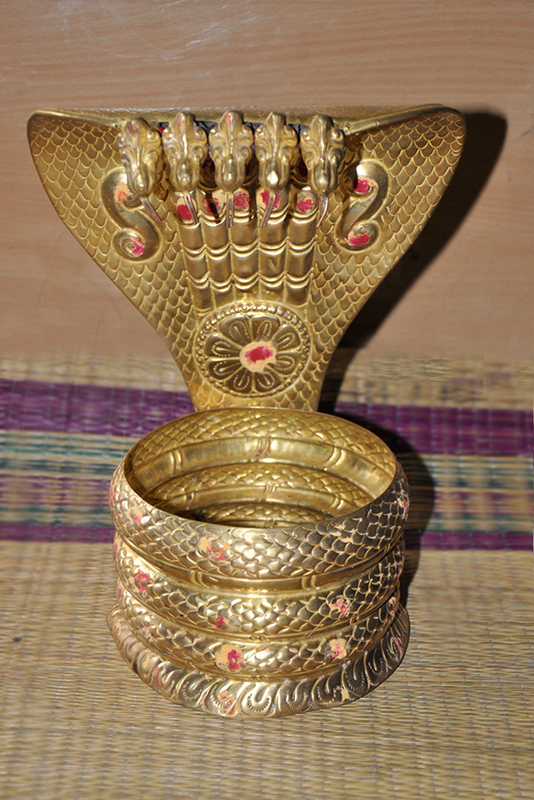 For the various celebrations and rituals happening in the temple, the god and goddess are decorated in a grand manner using various kinds of ornaments and jewels. The temple pillars and entrance to shrine is also covered using the sheet metal embossing. The statues are covered completely using sheet metal embossing. 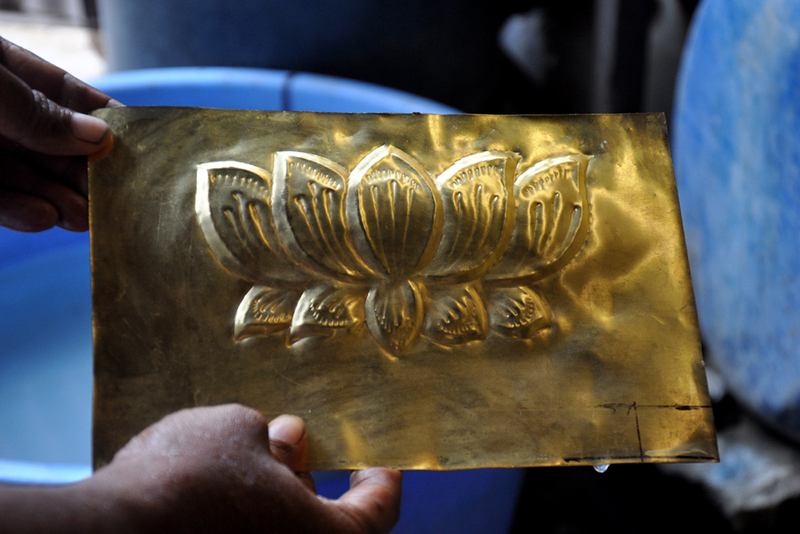 There is a group of industries and people who are into making of brass metal embossing. 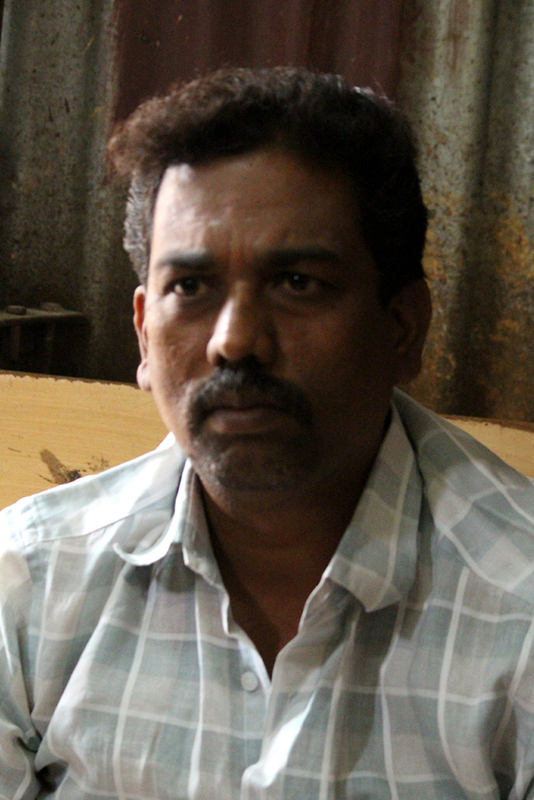 Mr. Pandirajan runs one such industry by name Sri Mouleeswara Sculpture Manufacturing Company in Villapuram in Madurai district. 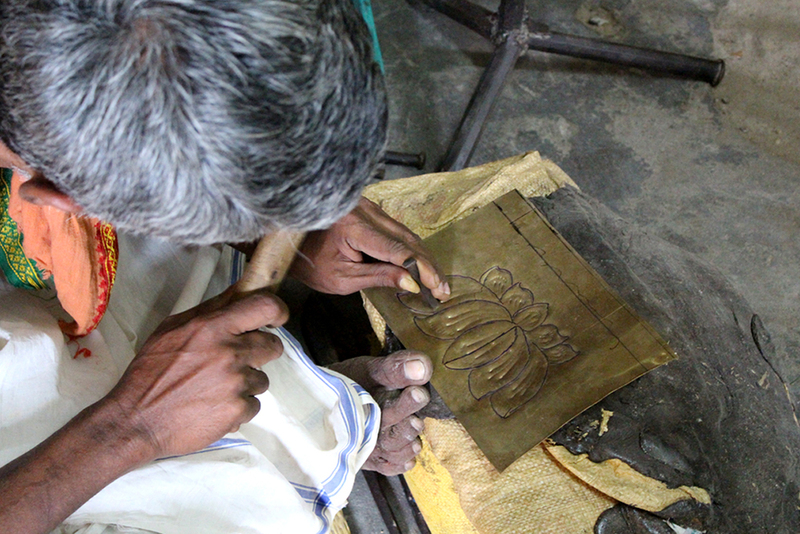 They are into making of sheet metal embossing, bronze statues and other related items. They are into this business since last four generations. They have worked for some of the great temples like Sri Meenakshi amman temple Madurai, Trimala Tirupathi Devasthanam, Tirupathi etc. Now let us see one such work how it is been made.